Founder of the Ballet Folklorico Mexicano (BFM) in 1967 in the city of Livermore. Carlos learned about the theater arts at an early age. His father directed and performed a group in Nazas, Durango, Mexico, while his mother designed the costumes, sets, and props for their performances. His formal instruction began at the age of 11. After completing high school, Mr Moreno's artistic ambitions led him to study folkloric dance in Guadalajara and Ciudad Juarez. Still seeking the right environment, however, in which to express his dreams and talents, he emigrated to the San Francisco Bay Area in 1958. There he met his wife, Angelina Garcia, who later came the costume designer for the BFM. Carlos Sr.'s unrelenting passion for researching, teaching, and performing the traditional dances of Mexico have made him a recognized expert in the field. For this reason, he and the BFM have received numerous recognitions in both the United States and Mexico. Mr. Moreno has successfully directed the BFM and taken the company to professional status, performing in major venues, for professional sports events, popular TV shows, educational and cultural events throughout the United States, and internationally, to Mexico. Carlos launched his artistic and performing career at the age of three when he began studying the fundamentals of Mexican folk dance under the tutelage of his father. While a teenager, he received further training in Mexican folk dance, music, and costuming at the Academia de Danza Tizoc in Mexico city. 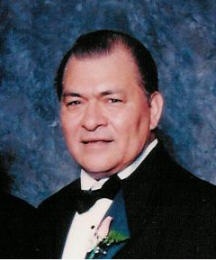 From 1989 to 1992, Mr. Moreno was a corps dancer with he renown Ballet Folclórico de Mexico of Amalia Hernandez, with whom he toured North and Central America, Europe, and the Orient. He returned permanently to the San Francisco Bay Area in 1992 to devote himself to his first love - the Ballet Folklorico Mexicano (BFM). The company's primary choreographer since the late 1980's, Carlos keeps working full-time with the BFM on its artistic repertoire and on the training of its dancers. Additionally he teaches at Saint Mary's College in Moraga, as well as gives workshops to individuals, schools and dance groups. This choreographic genius, besides creating the BFM's repertoire, also collaborates with arts organizations in the community to deliver outreach programs to children in schools.